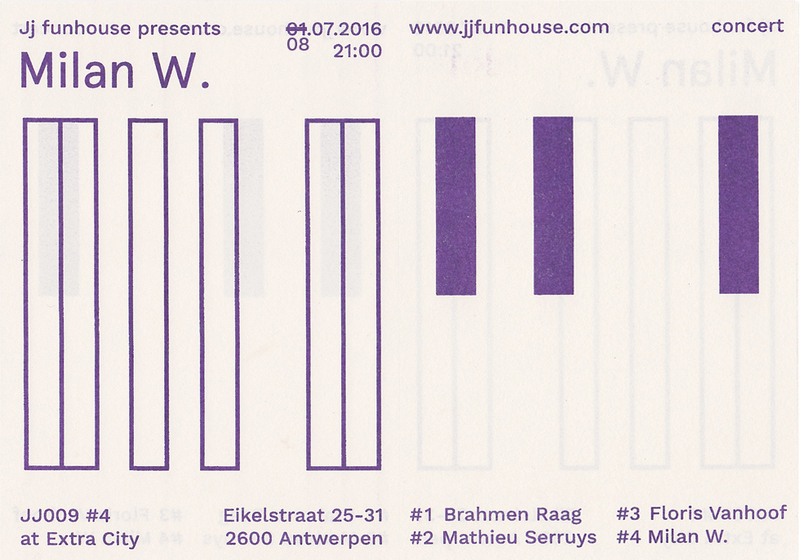 Jj funhouse – jj009 #4 : milan w.
JJ009 #4 : Milan W.
Milan W. combines pulsating rhythms with analogue synth melodies which result in gripping electronic compositions, haunting dreamy by day and machinating by night. He knows how to distill the best out of the best European masters of electronic atmospheria, serves it up without the boring parts and marks his own stamp right in the middle. He'll be playing bits of his new upcoming album that will be released in September! Milan W. is the last in a series of four concerts organised in the cinema space of Extra City.